Sawyer Street Studios is the result of a dream and the desire for secure and affordable studio space for ceramic artists. 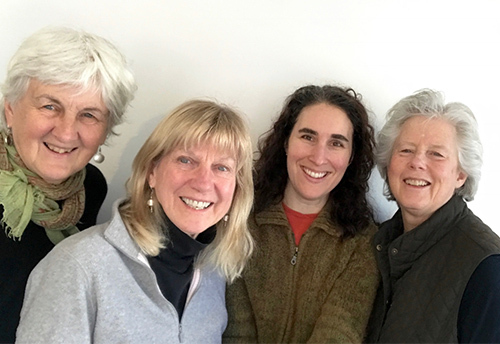 The search for such a space began in 1984 when Lynn Duryea, Paul Heroux and Sharon Townshend formed Artventure Inc., to begin looking for an appropriate building to house communal clay studios. 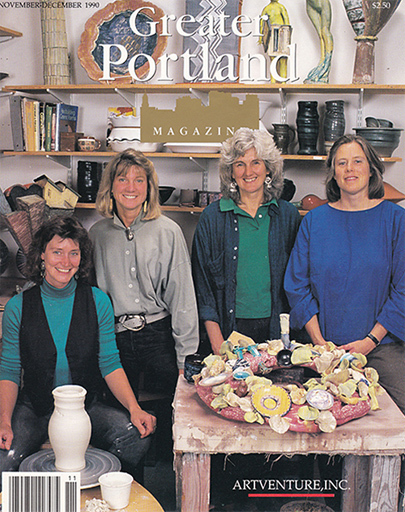 It was not until the fall of 1988 that the present building became available; at that time Artventure’s partners included Lynn and Sharon along with Marian Baker and Abby Huntoon. Extensive renovations on the building were undertaken by the partners, with the help of their friends and an array of construction professionals, creating clay studios in the 1930s building that had housed such enterprises as a pool hall, a laundromat, a convenience store and a pizza parlor. 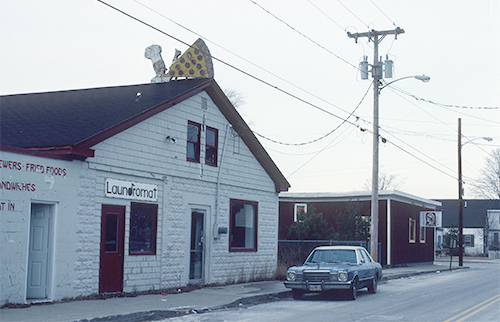 The building’s most noticeable feature when it was purchased was a gigantic pizza slice sign on its roof! 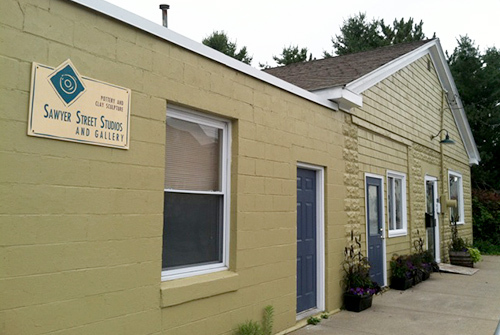 Located in South Portland’s Ferry Village, Sawyer Street Studios houses private work spaces for the four partners as well as rental space. The property is owned by Artventure Inc., but the studio is a communal endeavor. The partnership of Artventure has remained quite constant over the years, with Nancy Read replacing Marian in 1994 and Louise Bilodeau replacing Nancy in 2004. A long list of beginning, amateur and professional artists have occupied the various studio spaces over the years, including Lucy Breslin, Sara Cox, Julie Cunningham, Susan Dewsnap, Amanda Kobayashi, Ben Lambert, Annie Poe, and Suzi Van Wye. The pottery, vessels and sculpture produced at Sawyer Street Studios varies greatly in terms of expression, working methods, firing techniques and temperatures.